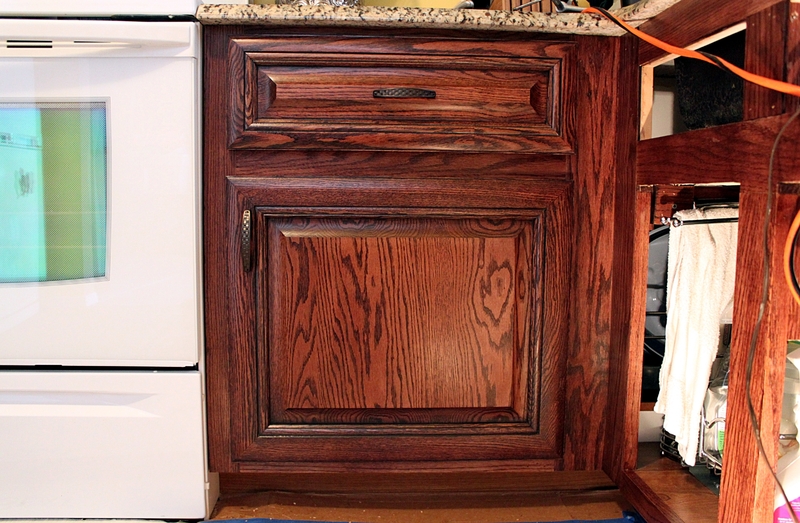 The lower cabinets are coming together. 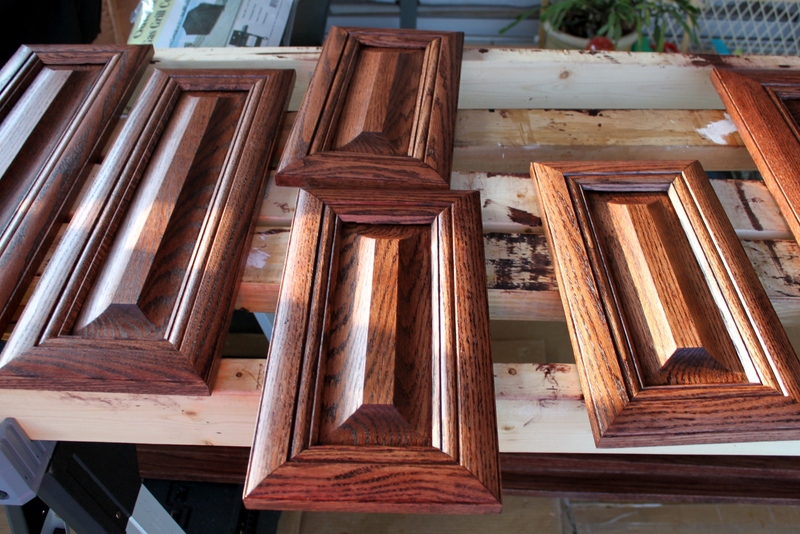 The Drawer fronts and some doors have been stained, finished, glazed, then refinished… They have turned out beautiful. Daddy installed all that he could today, and now the “finishing area” is once again full of additional doors and drawer fronts. 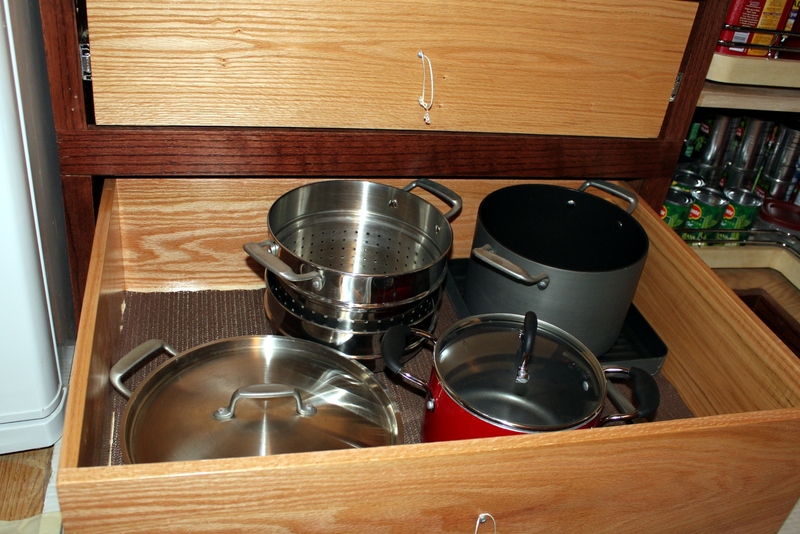 This pic is of the drawers for the pots, pans, electric skillets, “junk” and miscellaneous cooking utensils. The hardware does look great on them… I have to admit! This pic is of the cooking utensils & knives drawer, and below is the cabinet that houses the pull out shelves holding the mixer, Margaritaville drink maker, and other appliances no longer in view on the counter top. Great job on the cabinets by Daddy, and the finishing by Momma! It is all coming together beautifully! Daddy was eager to pick up the doors, drawer fronts & drawers from Eagle Bay Wood Products, located in Oviedo last night. They did a wonderful job on the custom order. I have posted more pics today out of respect for Momma & Daddy’s hard work all day long. i was put on water & laundry duty! 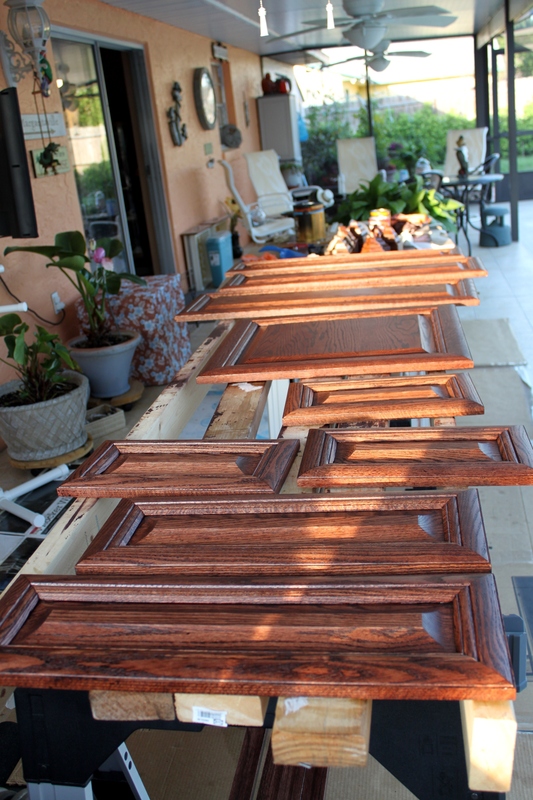 Momma stained and put the first coat of finish on a few of the drawer fronts and doors today, she ran out of room in the “finishing area”. 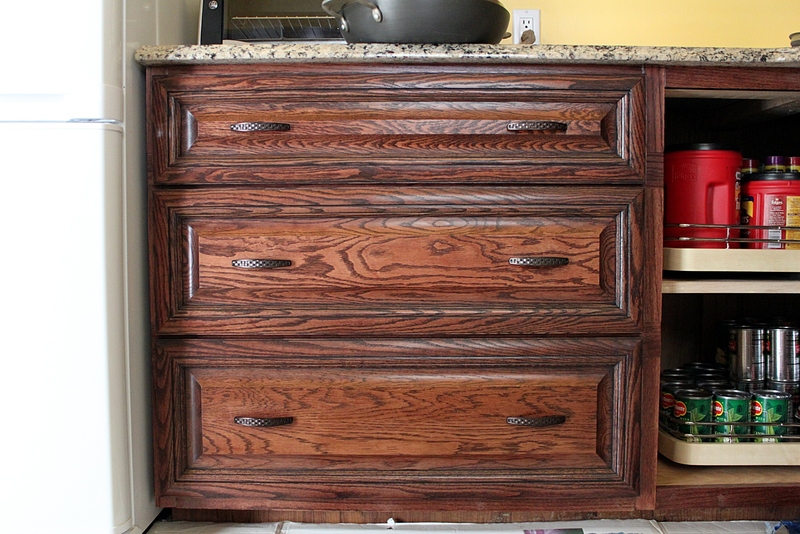 Daddy installed drawers literally ALL day long… The drawers are made of oak. Top drawer is designated partial “junk” and not sure what else. 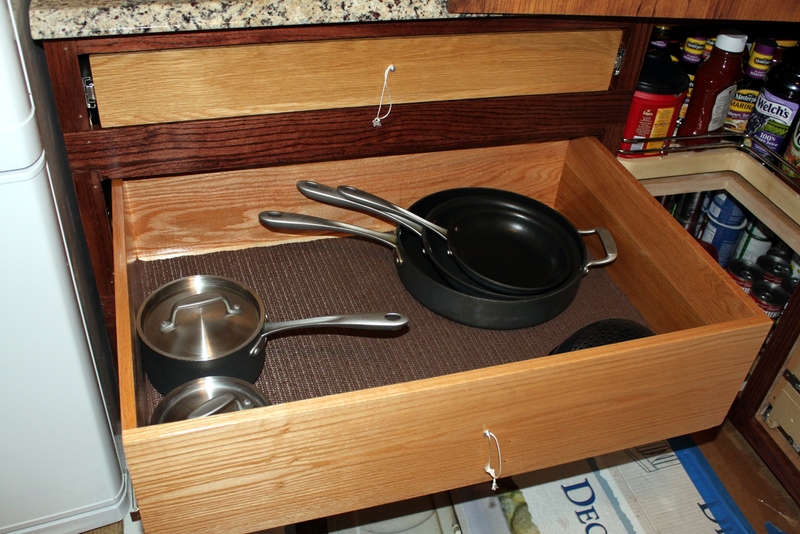 Second drawer is for the smaller pans, will be so nice to have easy access to them. 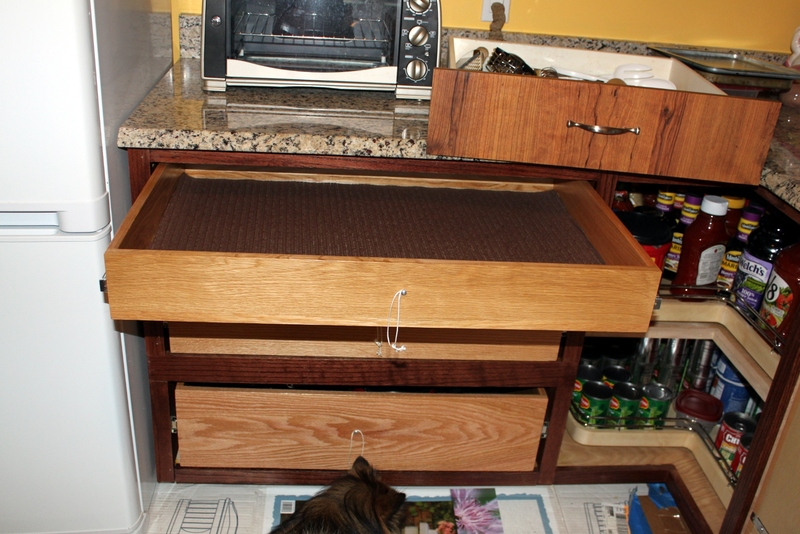 Bottom drawer is for the large pans… Daddy sure did a good job of measuring to insure we got the perfect drawer size! 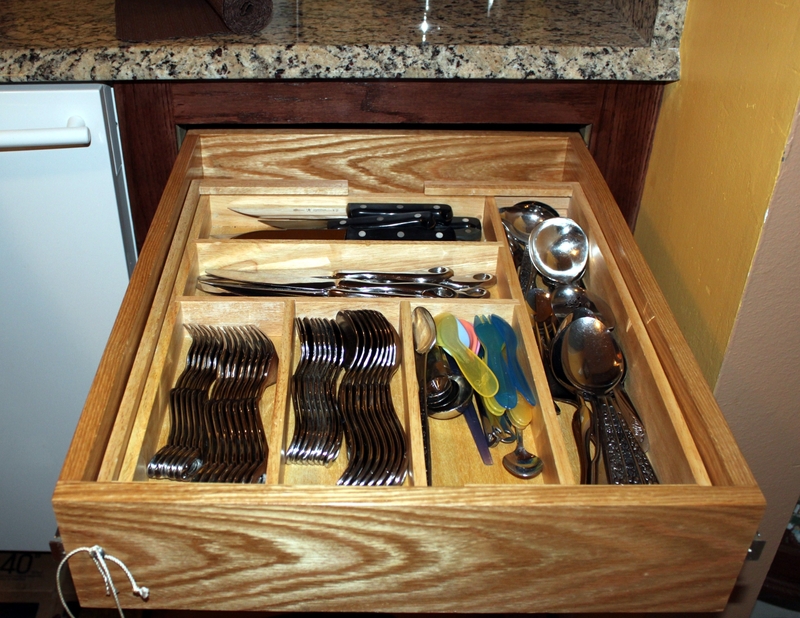 New silverware drawer, and relocated to other side of kitchen… What I didn’t post is the pic of the one drawer that they made the wrong size. Daddy adapted, and modified the planned opening, and made it work… I knew he would make it work, Daddy never fails! On a side note… Daddy did a great job today… I heard the “Eddings Grunt” many times throughout the day. Every time he was asked if he needed help, he said no… I have such respect for him, and will say it now… Daddy YOU are my HERO! Click any picture for full version! Please feel free to leave a comment if you like what you see! Thanks for stopping by the Lanai! Enter your email address to never miss an update!